Anyone who wants to get into the business and want to let off steam in the market, should be very well versed in the world of Forex and Co. Use our forex broker comparison to see exactly which provider could match your needs. Different criteria should be considered. On spreads should be paid as well as security and adequate customer service. Deposit insurance with banks in Germany, Great Britain, the Netherlands, etc. If too few of these characteristics apply, it is not a very good broker and you should consider alternatives. In our clear forex broker comparison, you can quickly see which brokers can be considered for you. We rely on a detailed search and put the individual brokers through their paces. The supply of brokers is steadily increasing these days and we want to help you keep track and filter out just the right provider for your needs. Spread: The spread represents the difference between the buying and selling price of a currency pair in the respective trading platform. This calculates the fee determined by the broker. The spread is indicated in so-called pips. Max. Leverage: The leverage is provided by the broker and makes it possible to move significantly more capital than has been deposited. It can therefore be regarded as a loan from the broker. Leverages make trading activities particularly lucrative. An example: With a leverage of 100:1, you can trade with an amount of 10,000 $ if you deposit 100 $. Account: The broker determines a certain minimum deposit that must be made. The amount of the payment can be between five and 50,000 $. Max. Bonus: Numerous brokers advertise with bonuses to attract new customers. In many cases, your first deposit will be credited to your account with a certain percentage. This usually requires some turnover before the bonus can be paid out. Demo account: As you can see in our overview, most Forex brokers offer the opening of a free demo account. This allows you to trade to your heart's content and without risk, without running the risk of losing money. Get acquainted with the market and forex trading before you get into real trading and get down to business. Many demo accounts have a time limit - after which they are automatically closed again. Commodities: Many Forex brokers now offer commodities that can be traded. Trading in gold, silver and oil is the most common. Fees: As a rule, the fees are limited to the current spread. However, some providers charge additional commissions. Attention: Various brokers cleverly hide the fees behind deposits and withdrawals. This is often overlooked. It may sound tempting to open an account with a forex broker with a minimum deposit of 25 euros - but just because it is possible, it is still not recommended. Most professional Forex traders trade a standard lot for every 50,000 units in their account. Less experienced foreign exchange traders are often more risk-averse. 100k standard lots with a 2,000-unit account are not uncommon. This is a problem that will sooner or later break the neck of most Forex traders. They do not understand how the lever actually works and do not have nearly enough seed capital. A micro-account should have at least 1,000 euros’ credit, 10,000 euros are necessary for a mini-account and a standard account is only recommended at 100,000 euros. If you cannot raise 1,000 euros, you should renounce forex trading until it can raise this sum without any problems. In the meantime, he can practice in demo accounts to successfully trade forex without taking a risk. Most new traders do not fully understand the concept of leverage and margin. Trading with leverage means being able to trade a large amount of money while using little or no money at all but lending the rest. Forex brokers offer very high leverage. In this way, it is even possible, for example, with the 25-euro account to trade up to 2,500 euros. As long as the trade develops profitably, this is not a problem. Then the lever can be used to generate significant profits, which will then pass into the hands of the trader. For example, if a trader opened a position and traded 100,000 euros at 1,000 euros, the leverage would be 100: 1. The position closes with a profit of 1,000 euros. The broker gets the borrowed money back and the trader receives his bet plus profit and has made a profit of 1,000 euros. If all the money had belonged to him, he would not have been able to claim a 100% return, but only a 1% return. This is the big opportunity in forex trading and leverage products in general. In the meantime, private investors have also discovered currency trading, which was mainly reserved for banks and institutional investors. Individuals need a deposit with a broker. In Forex trading, leverage, margin, volatility and recent analysis and charts play a crucial role. Those who know the various factors correctly and can draw the correct conclusions will be successful in the market. However, the requirements for the trading platform are greater than in any other trading area. We recommend a distinctive, individually designed learning phase, as well as comprehensive tests to learn the forex expertise with the method "Learning by doing" gradually. Forex is a risky product. Therefore, special caution: who underestimated the risk or even total miscalculated, can quickly experience a total loss and it may even come to additional funding. You should definitely learn the basics necessary to finally establish yourself successfully as a trader. Use our handy forex broker comparison to get the most out of what the different brokers can offer you. How do I recognize a good forex broker? What is the forex trade all about? First of all, the constant learning of financial market-typical functions and developments is at the forefront. 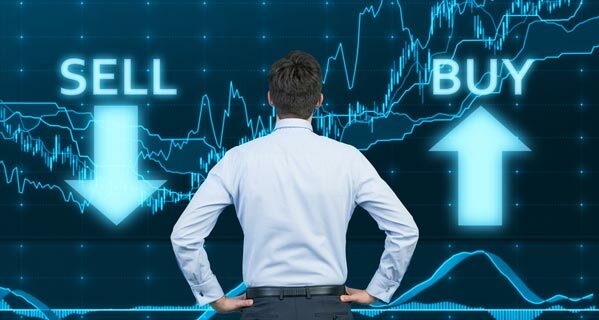 Especially in this market, the circumstances change quite quickly, which is why the trader should always keep up to date with current developments. If you put your emphasis on your own competence, on your specific knowledge in the crucial areas, you can optimize your profits - in the long run, this strategy will pay off. This also clearly limits the risk associated with the sale and purchase of currency. 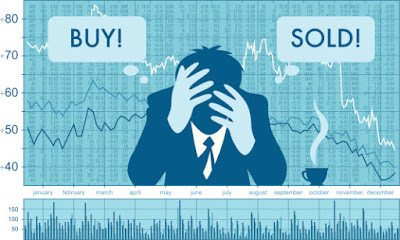 A good forex broker also offers the best possible spreads for traders. These increase the chances of a long-term flourishing activity in the market. An important note in this regard: Even as the risk gets smaller - trading in Forex and various other financial products remains a risky business. 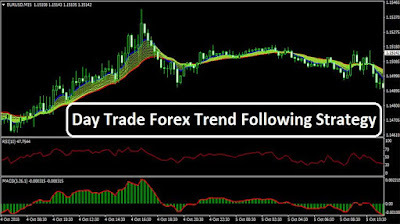 Trend trading is a strategy that is very common in market technology trading. Trends can be up or down. Strictly speaking, trends in courses are always present. Even a sideways phase represents a trend, it is only called not as a trend but as a consolidation. How to do this will be presented in another article. This is about the classic trend. Trading up or down trends? Trends all show similarities; they only differ in their volatility from asset class to asset class. Since foreign exchange is the largest and most liquid capital market and global trade takes place 24/5, even currency pairs are volatile, i.e. fluctuation-wide. Nevertheless, they often show stable trends. Whether you trade up or down depends on your own preferences. Although downward trends are usually more dynamic in stock markets, both currencies' upward and downward movements can be very dynamic. While stock sales are one-way, currency pairs depend on which currency is sold. If the US dollar is sold against the euro for relevant reasons, it can mean a dynamic increase and thus a trend in the EUR/USD currency pair. How do you identify a trend? 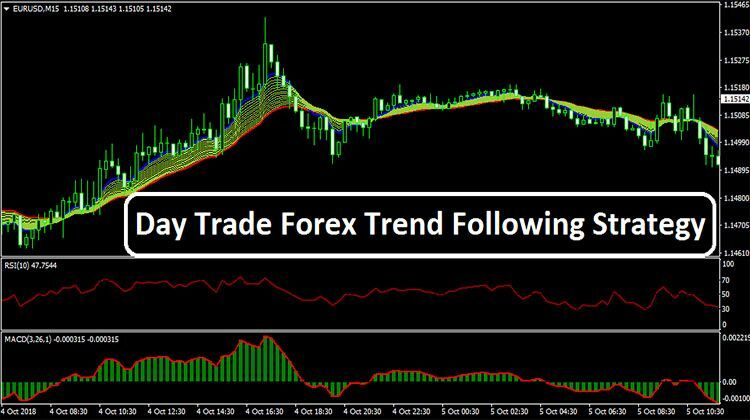 Forex trends are usually influenced by many factors. Each currency has its own weighting in the factors. Some are extremely dependent on commodity prices, others on the economy in China and others on political and monetary policy decisions. It is advisable to know these characteristics, even if you strictly act according to the market technique. How do you act trends? Meanwhile, you can trade trends in several ways. It must first be defined how long you want to participate in the trend. You can either try to trade the whole trend, so get in as early as possible and get out as late as possible. This will not always work, as you can often not identify a trend reversal with certainty. Risk management is probably one of the most important terms a foreign exchange dealer can only counter. However, it is overlooked by many traders and not taken seriously enough. However, if you want to be successful in the forex market in the long term, you cannot avoid dealing with risk management. However, those who do not conduct risk management and do not properly determine their position sizes basically do nothing but gamble. The focus is then not on being able to record profits in the long term, but to win the "jackpot" at the next trade. Only those who can control their losses in the long run have a chance to be profitable. In the end, forex trading is a number game. This means that the possible loss must also be factored in and, if possible, changed in such a way that a positive picture emerges. An important part of risk management is the question of sufficient capital. How much is needed to start trading Forex? The answer depends on how the new entrant wants to tackle the Forex trading. First, a basic knowledge should be created that makes it possible not to put the entire starting capital pointless. Education is also capital in the form of knowledge, so here should be the main focus at the beginning. There are many ways to learn Forex trading: classes, single-handedly, with mentors, in the exchange over the Internet and many other possibilities and combinations. However, seminars, classes, books or mentors cost money. The advantage is that the learning effect is often much greater than with independent training. This also means that trades can succeed much faster and thus become more profitable sooner. The second question that needs to be answered to determine the starting capital is whether trading requires special tools such as charting software or newsfeeds. Most of the analysis tools can be used by many Forex brokers at no extra cost. 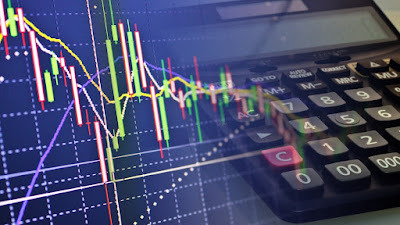 The numerous order additions are only a reasonable argument for why newcomers to currency trading should use a demo account before they risk their capital. It certainly takes some getting used to, until a trader understands all order additions and can apply them correctly. This is especially the case with combined order additions. The full potential can only be exploited if the trader has actually understood which additions have which consequences and when they take hold. Beginners can test order supplements with free forex demo accounts easily and without any risk. They allow beginners to use the full range of functions and therefore also to try out all order additions. It would be very annoying if a beginner risked money and did not quite understand an order type. Maybe he would risk a lot of money with it. Only then can they be safely used in currency trading with real money. What conditions a forex broker offers for his demo account is sometimes very different. As a rule, they are limited either in terms of capital or useful life. Often the account can be recharged on demand, however, or the account can be extended again. Such a demo account is usually free. Usually, the dealer receives a certain amount of play money or can use the account for a limited period of time. If you have never traded foreign exchange, you may need some time at the beginning to deal with the many functions and possibilities. Even those who have already traded Forex online will not find their way on any modern trading platform. 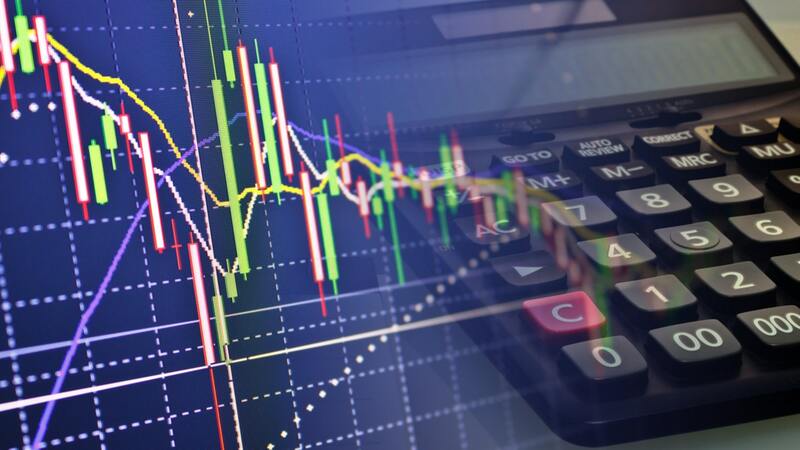 A demo account also allows experienced traders to familiarize themselves with the appropriate software. As with Forex trading, as with any other investment, it is important to avoid mistakes due to ignorance or inattention, it is almost essential to test and try the platforms before the first trade.